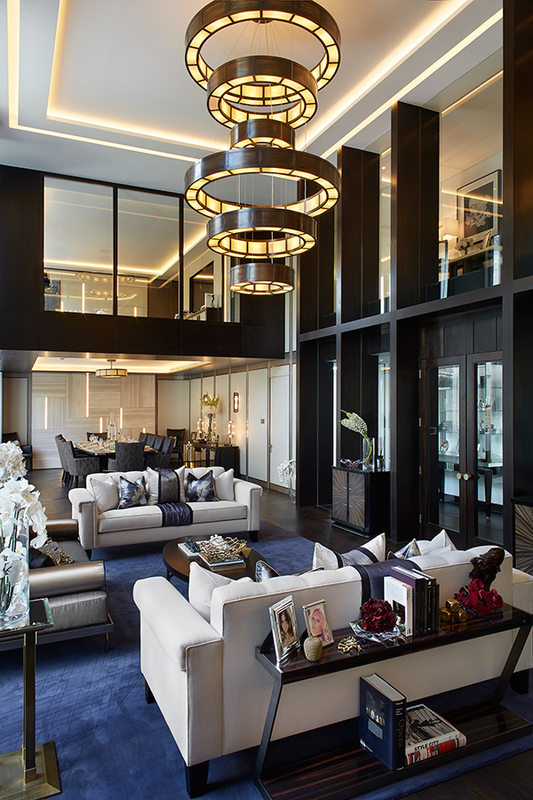 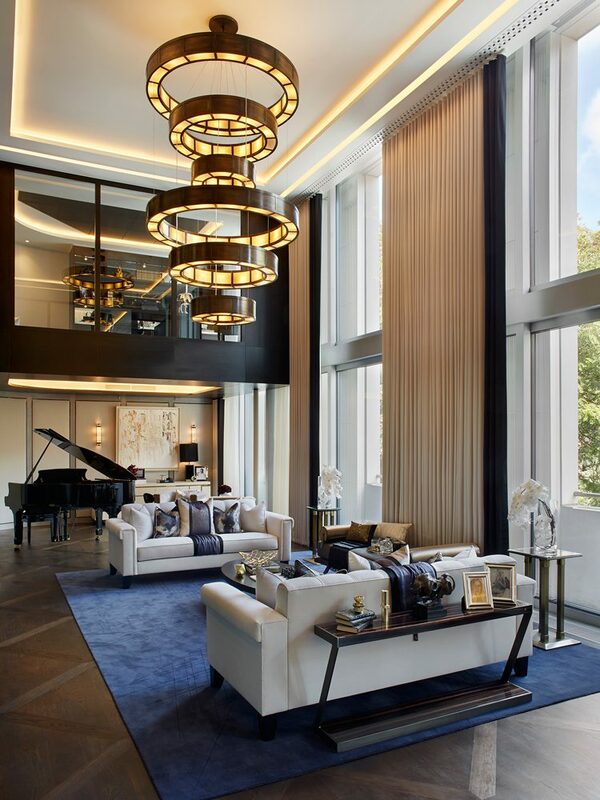 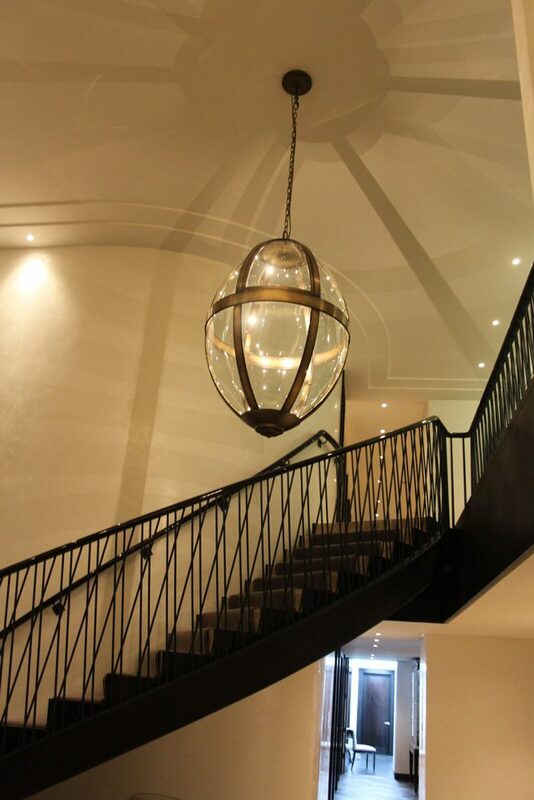 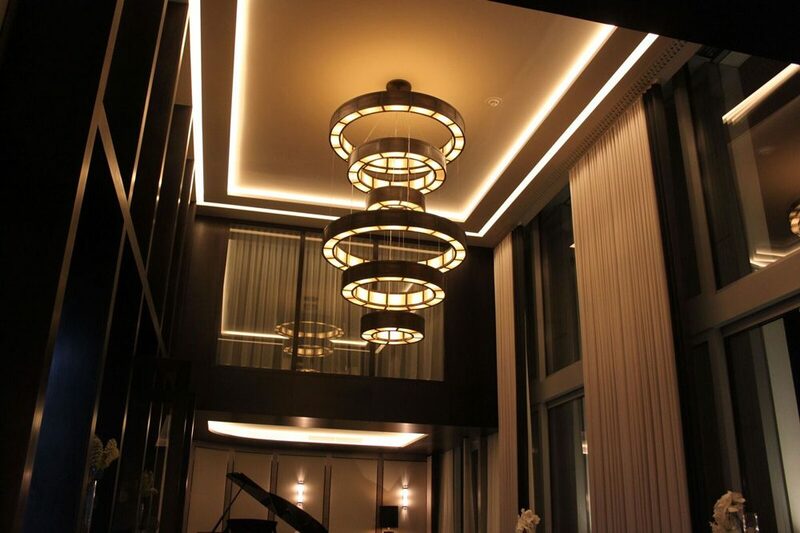 A large scale multi ring pendant designed, manufactured and installed by Madson Black. 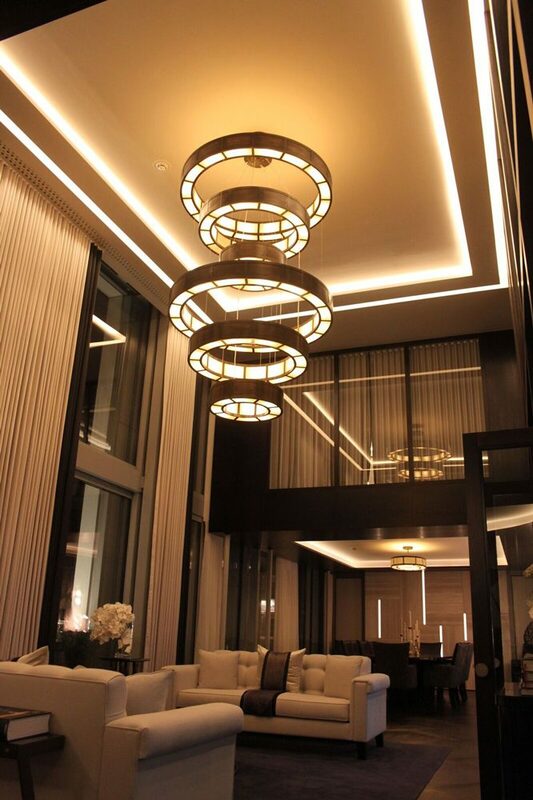 The pendant consists of six rings, manufactured in brass with an antique finish. 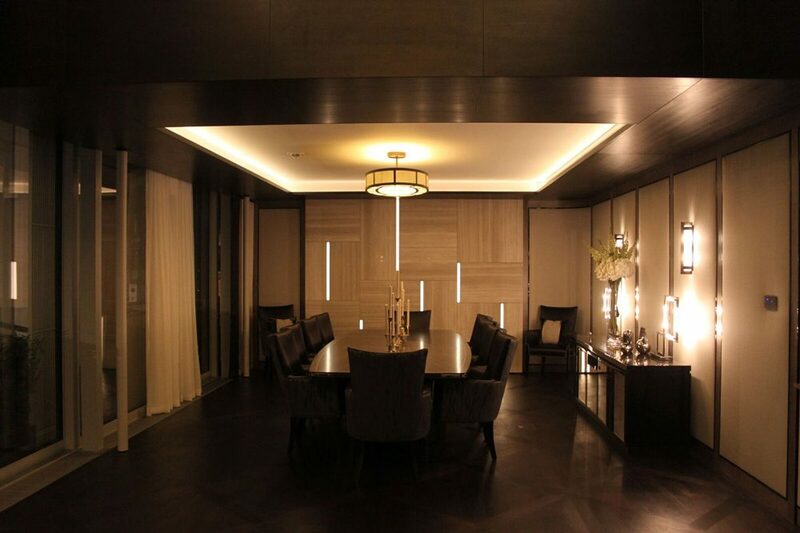 LED light sources illuminated the marble effect panels.